It’s MotoGP world championship time again, so what does that mean? We are off to Spain….again!!! 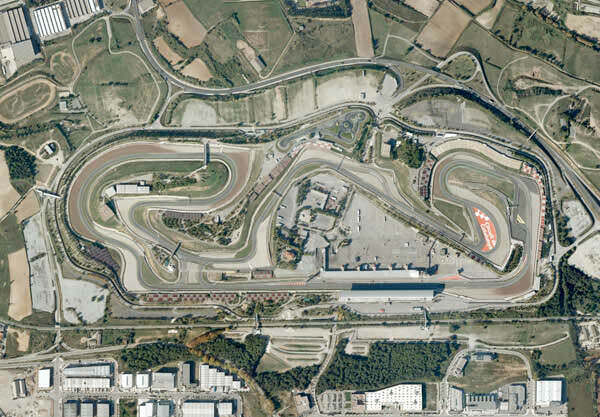 I shouldn’t complain though, as Catalunya is actually one of my favourite tracks on the calendar as it normally provides spectacular racing and was the scene of a great Rossi versus Lorenzo dust up three years ago. With three Spanish riders taking race wins this year, we could expect them to be looking to please the home crowd. 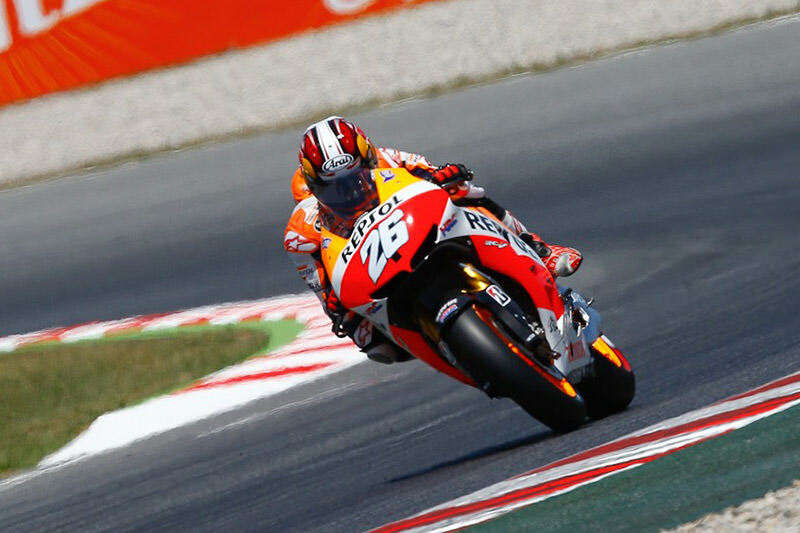 In qualifying it was world championship MotoGP leader – and world championship smallest person leader – Dani Pedrosa guiding the Repsol Honda to pole. 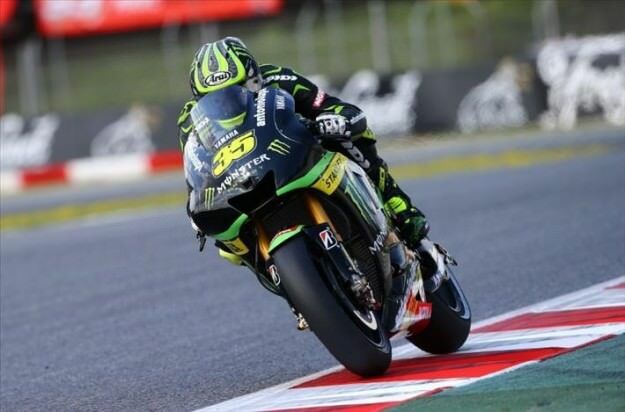 He was followed by world championship sweating whilst riding leader, Cal Crutchlow on the Tech 3 Yamaha, ahead of world championship rubbish celebrations leader Jorge Lorenzo on the factory Yamaha. Why all this talk of world championships you say? Well, that is because these are the best riders in the world at riding a motorcycle around in a circular motion whilst not falling off. Come race day it wasn’t raining nor was it particularly slippy. As the lights dropped Lorenzo made another astonishingly fast start to nab P1 from Pedrosa, who in turn was followed by team-mate Marc Marquez, leaving Cal Crutchlow to fend off the Yamaha of Valentino Rossi. As the three top guys began to assert their dominance (again) the race started to fall apart. Literally, for everyone else. First one down the road was Alvaro Bautista on the Gresini Honda on lap one. He claimed he was being “held up” by the leaders as he tried to pass Rossi at Turn 10. Not even stabilisers could hold him up though as he ditched the Honda trying a daft move on Rossi. Rossi was a bit wiser this time and ran deliberately wide so that Bautista and his spinning Honda would take him down for the second race in a row. Thankfully, as Bautista went back to the pits the new Dorna rules were upheld and he kept his helmet on, so we didn’t have to see that awful hair thing! Now if there’s one thing we know about 2013 MotoGP is that Marc Marquez likes to get the bike a bit lairy. At Mugello it got lairy, then airy, then straight to the rubbish tip after multiple crashes. As they circulated with people falling left right and centre Marquez was not to be outdone. After coming thundering down the back-straight and looking certain to out-brake Pedrosa, Marquez dived to the inside only to find the inside still occupied by Pedrosa. Ensue frantic braking and manoeuvring as the bike and Marquez pitched violently around the place and missed the back of Pedrosa’s bike by millimetres. Even the wildest rodeo rides didn’t have a patch on Marc and how he didn’t take out Pedrosa is still a mystery. Maybe a new Honda anti-crash system? Naturally enough all this fighting left the lap 1 leader Lorenzo to cruise to a 3rd victory of the season – even if it was a little dull. So with all the falling and crashing, Aleix Esparagro kept it upright to take CRT honours. But the most surprising person to wobble over the line was Bradley Smith on the Tech 3 Yamaha. Smug gingers are not something I’d normally condone, but he did pass Andrea Dovizioso on the Ducati to nab 6th at the line. Not really that bad at all! Next up is Assen, the Cathedral of MotoGP. Fingers crossed for some more action from the three Spaniards.